Take a memorable sunset safari in a private game reserve. Enjoy two full day game drives in the Kruger National Park. Relax by a camp fire under a starry African sky while listening to the sounds of the night. Vilanculous - discover the gateway to the Bazaruto Archipelago. Inhambane - relax on Mozambique's beautiful beaches and reefs. Hlane Royal National Park - go wild on a game drive in Swaziland. Discover Johannesburg’s highlights on a walking tour. Capture the city’s contrasting streets and skyline. Experience Johannesburg’s unique and changing vibes. 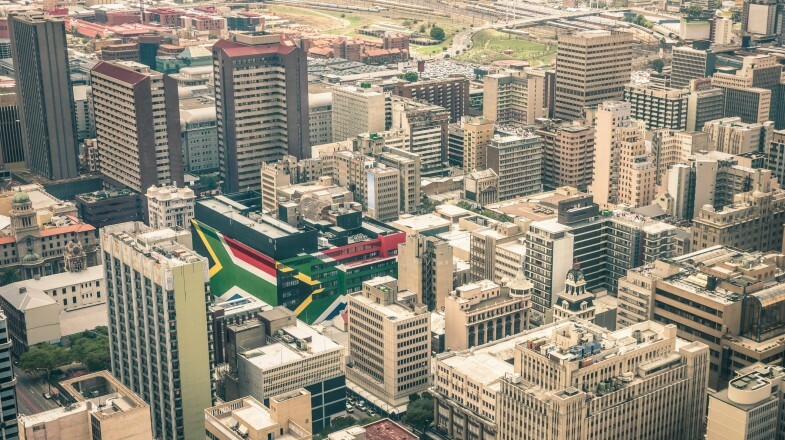 A city founded on gold-mining, it’s no surprise that Johannesburg is a center of economic wealth. However, the success of Johannesburg not only lies in commerce, but in culture as well. Despite being set in a Savannah, a trip to Johannesburg will bring you to one of the world’s largest urban forests. Stark contrasts lie between neighbourhoods where the rich live in high-security compounds while the poor live in undesirable homes. With a population so diverse in background and affluence, there is no dominative language, though English is a common language. So what is Johannesburg? A city of contradictions. A trip to Johannesburg will show you the two sides of South Africa: urban and natural. To learn the history of Johannesburg and SA, the Apartheid Museum is unmissable. Constitution Hill is key attraction to visit in Johannesburg, where Nelson Mandela and Mahatma Gandhi were once held. Maboneng is the hip neighbourhood right now and Arts on Main is an up-and-coming art center come Sunday Market. Mary Fitzgerald Square, and the adjacent Jazz Walk of Fame, is the place to start exploring central Johannesburg. The Carlton Center is the tallest building in Africa. Shop on the lower floors or shoot up to the top for the observation deck. The City Hall is a beautiful example of colonial architecture. Get active and head to Zoo Lake where you can run, paddle and row your way around the busy park. You can holiday in Johannesburg at any time of year, thanks to a great climate. Though summer months of December and January are especially beautiful. Beware of petty crime and avoid walking alone or in small groups at night time. Tourists are recommended to drink bottled water, though tap water is safe. If you plan to visit townships such as Soweto, take a guided tour. Using public transport isn’t recommended but tour buses, taxis and rental cars are all good options.